There are 1 cat videos tagged with dinosaur. Surprised Kitty vs. Pleo the robot dinosaur! 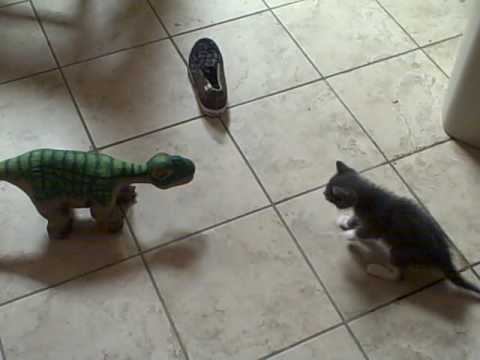 This is a video of Dessi's Kitten, "Mittens" meeting our robotic pet "Pleo" for the first time. She looks soooo much like the 17 million plus viewed "Surprised Kitty"! It's funny to watch them interact, Pleo was more fixed on me than Mittens. Hope you enjoy it!